Both sexes fully winged. Body legs and antennae blackish brown, basal two-thirds of antennal segment III yellow, base of IV light brown; major setae and fore wing pale. Head much longer than wide, strongly elevated into a dorsal keel, cheeks with several fine setae; eyes smaller ventrally than dorsally; postocular and ocellar setae finely pointed, as long as dorsal length of eye; maxillary stylets broad, retracted to eyes, close together medially but diverging at posterior. Antennae 8-segmented; segment III with 2 sensoria, IV with 4 sensoria; segment VIII slender and narrowed to base. Pronotum with anterior margin concave, 5 pairs of pointed major setae; epimeral sutures usually incomplete; basantra weakly sclerotized, ferna and mesopresternum transverse. Fore tarsi with no tooth. Metanotum reticulate, with one pair of setae. Fore wing parallel sided, broad, with at least 20 duplicated cilia. Pelta with slender lateral wings; tergites each with 2 pairs of sigmoid wing-retaining setae; tergite IX setae finely acute, shorter than tube; tube shorter than head, with several prominent lateral setae. Male tergite VI with pair of elongate lateral tubercles bearing a terminal seta; tergite IX setae S2 and S3 much shorter than setae S1. 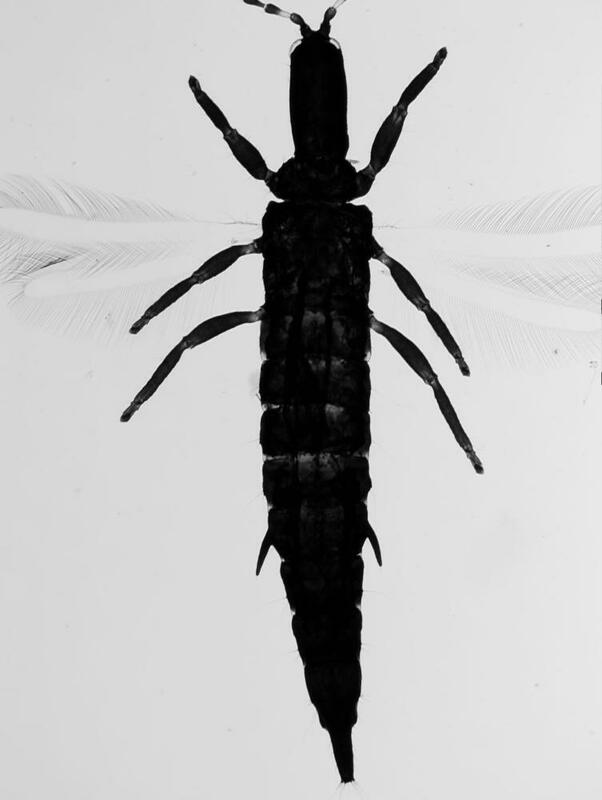 The distribution of the seven species worldwide placed in the genus Megalothrips is particularly unusual, with two from western and one from eastern USA, two from Europe, and one each from Malaysia and Japan. 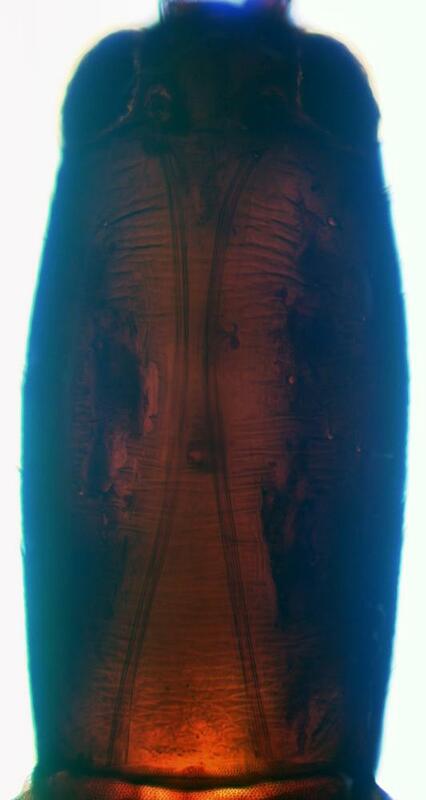 In common with Bactrothrips and Megathrips, the species involved are unusual amongst Phlaeothripidae in having the abdominal tube with prominent lateral setae, and the males commonly have one or more abdominal segments bearing a pair of prominent tubercles laterally (Mound & Palmer, 1983). 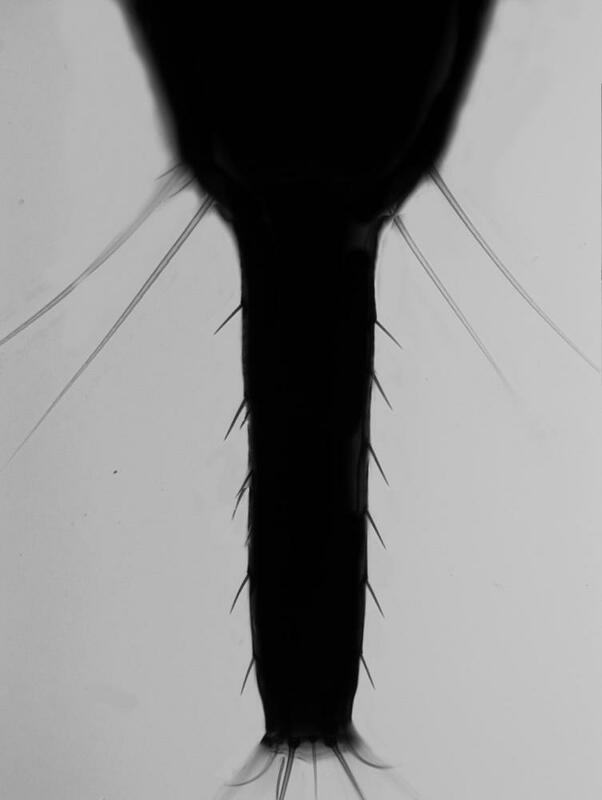 However the species of Megalothrips have the maxillary stylets unusually long and deeply retracted to the compound eyes (but see Mound & Tree, 2011). M. spinosus Hood is widespread across the northern States, and has the antennae dark, whereas M. picticornis from the Western States has the third antennal segment with at least the basal half yellow. A third species, M. schuhi Crawford, described from Oregon, has the third antennal segment almost entirely yellow and the succeeding two segments with yellow pedicels, but this possibly represents an Holarctic species that is known in Europe as M. bonannii Uzel. Breeding on dead branches and old galls. Feeding by imbibing fungal spores on dead Quercus and Salix, also in galls on Baccharis shrubs.